Nunsense is a hilarious spoof about the misadventures of five nuns trying to manage a fundraiser. Sadly, the rest of the sisterhood died from botulism after eating food prepared by the convent cook. Thus the remaining nuns stage a talent show in order to raise money to bury their dearly departed. 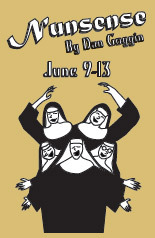 Nunsense will be performed by the original cast that performed the show on the Summer Theatre stage in 2000. "Nunsense" is presented by special arrangement with Samual French, Inc.
With equal measure of pluck and positivity, little orphan Annie charms everyone's hearts despite a next-to-nothing start in 1930s New York City. She is determined to find her parents who abandoned her years ago on the doorstep of a New York orphanage run by a cruel, embittered Miss Hannigan. With the help of the other girls in the orphanage, Annie escapes to the wondrous world of NYC. In adventure after fun-filled adventure, Annie finds a new home with billionaire Oliver Warbucks, his secretary Grace, and a lovable dog named Sandy. 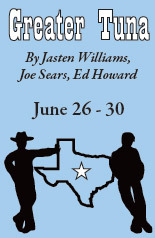 Greater Tuna is a comedy about a small town in Texas named Tuna, Texas' third smallest town. The wacky inhabitants of this town — men, women, children and animals — are all played by two skillful, transformative actors who must change parts at a rather breakneck speed and use inventive voice work. MSU Summer Theatre will be bringing back the original two cast members, John Weninger and Jeff Arlt, to reprise their roles in this amazing show. "Greater Tuna" is produced by special arrangement with Samuel French, Inc. The meek floral assistant Seymour Krelborn stumbles across a new breed of plant he names "Audrey ll"- after his coworker crush. Little does he know that this strange and unusual plant will develop a soulful R&B voice, a potty mouth, and an unquenchable thirst for human blood. The plant promises limitless fame and fortune to Seymour, as long as he keeps feeding it blood. 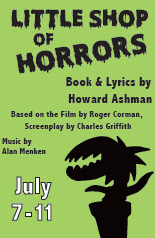 "Little Shop of Horrors" is presented by special arrangement with Musical Theatre International (MTI). 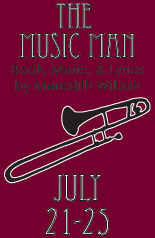 The Music Man follows fast-talking traveling salesman Harold Hill as he cons the people of River City, Iowa into buying instruments and uniforms for a boys' band he vows to organize -this despite the fact he doesn't know a trombone from a treble clef. His plans to skip town with the cash are foiled; however, when he meets Marian the librarian. 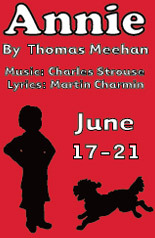 This Tony award winning show is a family friendly story to be shared with everyone. "The Music Man" is presented by special arrangement with Musical Theatre International (MTI).